Seeing a guitar-driven show through crowd’s eyes can be quite an interesting experience. Fans see the magic happening right in front of them without knowing much about what goes on, but rather feeling the moment created through player’s clever tricks and genuine emotion. Taking matters from that perspective, the player, his fingers and skills are clearly the focal point, along with the guitar the axeman is holding. Despite being in the background, massive amps are also always acknowledged as an obvious link between the string strumming and listeners’ ears. Finally, there are pedals, the quiet, subtle, yet crucial element of a vast majority of magical guitar moments in musical history. In time, certain effects were far too obvious to be avoided, resulting in global massive popularity of such guitar effects as the distortion pedal or wah wah. With such iconic players such as Jimi Hendrix or Pete Townsend of The Who promoting them with their groundbreaking efforts, it would have been a miracle if they had passed unnoticed. 5 effect modules including 15 effect types, providing you with a sound library. 40 meticulous designed drum rhythms, and equipped with tuning function. Total 32 patches: 16 preset patches and 16 user patches for you to create your own sound library. With 1/8" Aux in & headphone stereo jacks, and 1/4" input & output mono jacks. Dual power supply: DC 9V adapter(included) or 2 * AAA batteries (not included). With a metal buckle on the backside to hang it at the waist for convenient usage. Additionally, the extent to which the audio is changed through the use of such guitar effects is quite great, resulting in their additional prominence among the crowd. 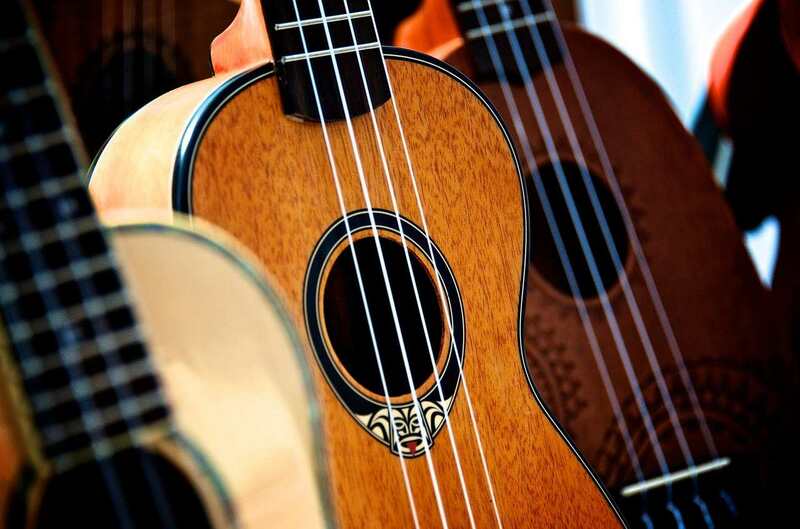 But there are also other, more subtle guitar effects that made a tremendous impact on the guitar sound, but somehow passed unnoticed, or even attributed to guitarists’ playing skills. These days, things are easier to figure out with the internet and various guides and books being readily available, but back in the day, the sound produced by sound effects seemed like true magic to the concert crowd. So right now we’ll make a brief rundown of some of the most prominent pedal effects to give you a more detailed knowledge of the given area. Make sure to check out the full list, as well as some additional details below. As noted, overdrive pedal comes as one of the most prominent guitar effects in history. It delivers that crunchy vibe by adding additional gain to the audio output. Basically, it’s the kind of sound that defines rock music in so many ways. 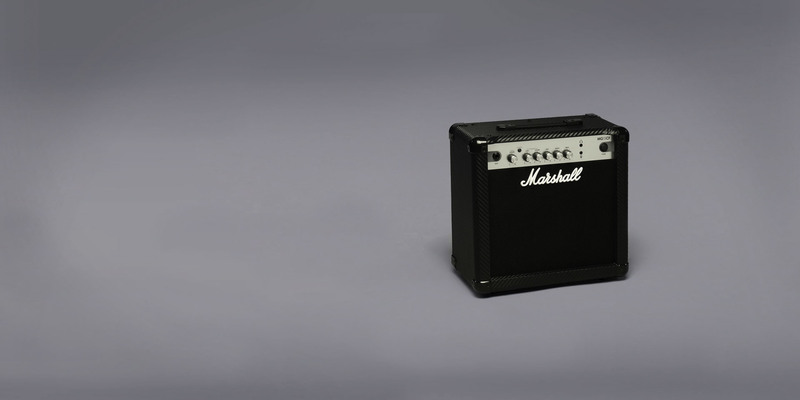 Started by the likes of Hendrix and Townsend, the device was taken to a new level by Black Sabbath, specifically guitarist Tony Iommi, commonly known as the father of metal music. The likes of Metallica perfected the given metal sound, while the overdrive tone remained present throughout the guitar-driven world. Depending on the amount of gain and the overall vibe, overdrive effects can have a different tone, ranging from light bluesy notes to crushing death metal sound. 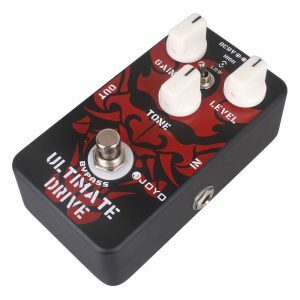 Some of the notable and frequently used overdrive (or distortion) pedals include Ibanez TS9 Tube Screamer, Boss Tube Screamer Overdrive, Joyo JF-02 Ultimate Overdrive Pedal and more. Delay belongs to the group of those subtle, yet highly effective guitar pedals we’ve mentioned earlier. As the name somewhat clearly indicates, the pedal creates a delay in the guitarist’s tone, resulting in repeatedly played same tones. Specifically, the device records the input signal for the brief given amount of time, stores in on an internal audio storage medium and plays it back after the desired amount of time. The delay isn’t a subtle effect by default, since the right kind of setting can make it extremely prominent. But the way it is typically used among players categorizes it among the subtle bunch. 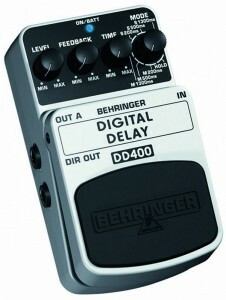 Some of the notable delay pedals on today’s market include such devices as Behringer DD400, DigiTech Hardwire DL8, Boss DD-3 and more. Looper guitar effects basically work around the same pattern as the delay pedal. So the device records the input signal played by the musician, stores it via internal audio storage unit and than plays it back for the desired time period. But loopers work in a slightly different manner, repeating longer samples and giving a genuine background instrument for the player. 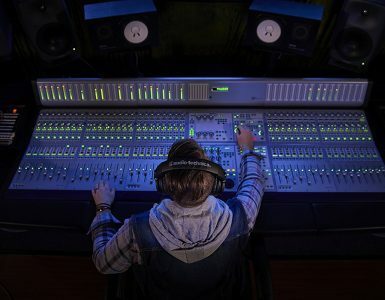 Loopers and samplers are known for their massive use in the electronic music domain, but are also fairly notable in the guitar-driven world. 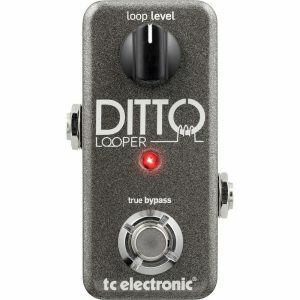 Some of the prominent loopers include such devices as TC Electronic Guitar Ditto, Digitech Jamman Solo XT Looper, Boss RC-300 Loop Station and more. Finally, there’s always the “all in one” option. 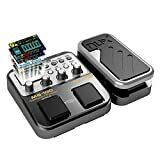 Multi effects guitar pedals come in various shapes and sizes and give players a combined station of different guitar effects. Depending on the size and capability, multi effects can range from only several effects, typically the prominent ones such as distortion, wah wah, reverb and delay to tens or even hundreds of combinations. 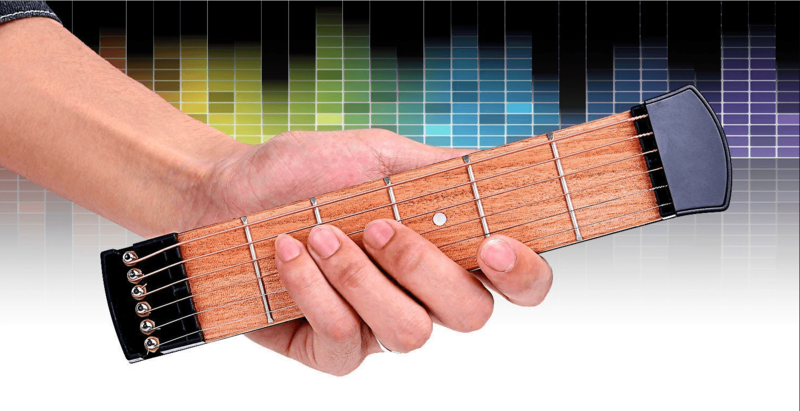 Multi effects are available for a wide array of instruments, including guitars, bass, keyboards, vocals and more. 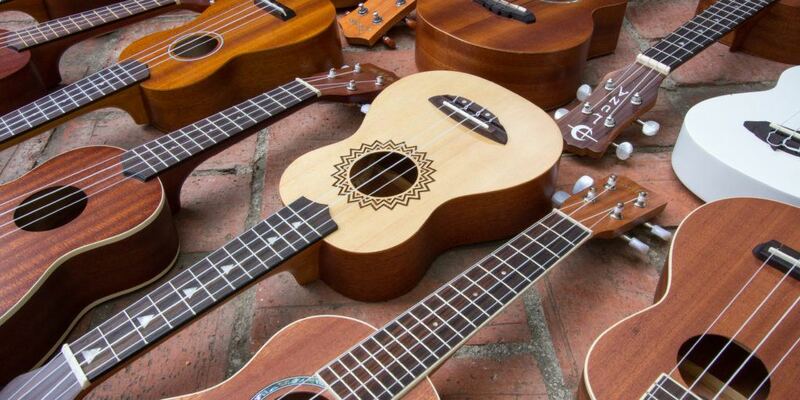 Musicians should always be cautious while buying them, as the differences between various models can often be truly great. Notable devices in this domain include the likes of Zoom G1XN, Boss ME-50 and more. Now that we know a little bit about what various guitar effects have to offer, lets take a look at our top 5 best guitar effects pedals. Zoom is one of the few brands who were really dominant back when guitar effects processors were huge. Even though standalone effects pedals are currently the standard for most guitar players, effects processors still play an important role in modern tone shaping. Zoom G1Xon is one of the more interesting models. It packs a very decent array of features, all while being fairly affordable. Features are what makes effects processors so impressive. With Zoom G1Xon, you are getting a whole lot in a very tiny package. Its internal bank holds some 75 effects which include anything from distortions and modulation effects to compressors and more. 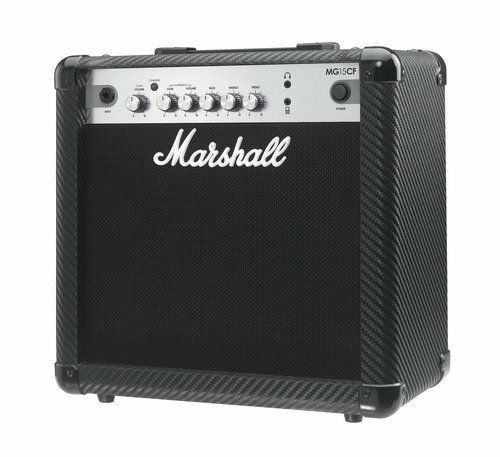 There are also 15 different amp models built into the processor which definitely increases the number of combinations at your disposal. Speaking of which, you can use up to 5 different effects at any given time. 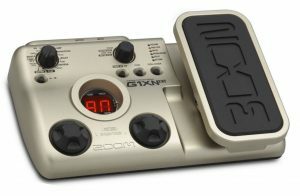 Zoom G1Xon also features 68 rhythm patterns, making it a great practice tool to have at home. Last but not least, you also get a looper which allows you to record and layer up to 30 seconds of performance. Effects processors are considered to be a shortcut these days and are not often used by pros. However, they are easily one of the best practice tools you can get on a budget. 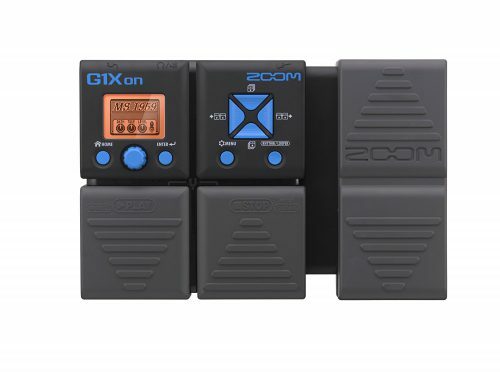 Zoom G1Xon is one of the most impressive models in this particular price range and a great addition to any pedal board. If you are looking for a good, basic platform for tone shaping, this is pretty much it. If Zoom G1Xon is a good budget processor, then Boss ME-80 is its professional counterpart. These days Boss is known as a brand who makes some of the best pedals on the market, but not so long ago they had a reputation for revolutionizing the effects processor game. As we are about to find out, Boss hasn’t given up on processors just yet. The moment you lay your eyes on the Boss ME-80, you will know immediately that this processor means business. It is a massive unit that features quality metal chassis which is what gives it a healthy weight. The control panel leaves very little to imagination. It is one of the busiest control interfaces out there, but for a good reason. We can divide the whole interface into three main areas. At the very bottom you have a set of 8 foot switches, each one dedicated to a specific channel. Above those, we have the main control segment littered with various knobs and buttons. Finally, all the way to the right there is a built in expression pedal as well as a small LCD display. Overall, it will take some time to figure out what each button, knob and switch does but it is well worth the effort. Listing the features found in ME-80 requires a guide of its own. Even so, we can paint a good picture for you. Imagine all of your favorite Boss pedals in one place. That is what ME-80 is all about. They have integrated dozens upon dozens of various effects, all of which sound very authentic. Speaking of sound quality, that happens to be the number 1 reason why processors never really took off. However, thanks to their Multi Dimensional Processing technology, Boss has managed to reach an impressive level of tone authenticity with their higher end processors. One other reason why this model really stands apart from the rest is the way controls are laid out. True, they are a bit overwhelming at first but that type of layout allows you to make immediate, tactile adjustments where they are necessary. One of these processors can easily provide you with all of the tone shaping tools you could need. 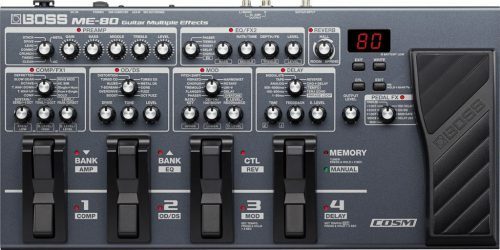 While it isn’t quite affordable, Boss ME-80 is a living proof that guitar effects processors are still around and very much capable. As a matter of fact, they are much more capable these days than they were back when they first appeared. Overdrives are one of the oldest guitar effects in use, but also one of the most popular ones. Many will characterize overdrives as simple in nature and only relevant to specific genres of music. 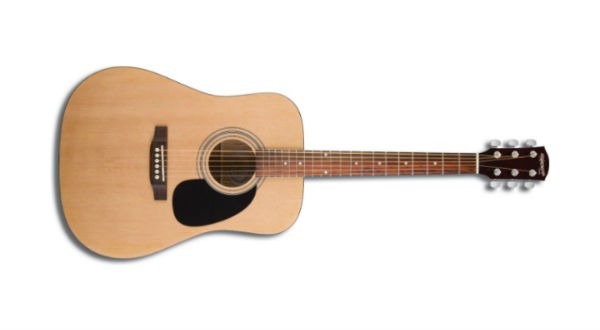 While that may be partially true, we live in a time where certain overdrives tend to cost about as much as entry level guitars. The real question is, can you find a good OD pedal on a budget? Meet Behringer Vintage Tube Overdrive TO800. Behringer is known for a variety of products. They area heavily involved in amplifiers and other gear. However, most aspiring guitar players know this brand through their affordable effects pedals. TO800 is one such model. Looking at this pedal reveals that Behringer took a page from Boss’ book. They have designed one pedal chassis and pretty much applied it to most of their current range. There is a fairly important difference between these two brands, though. Where Boss makes their chassis out of metal, Behringer uses composite materials. In other words, plastic. If you are being turned off by this fact, don’t be. Behringer chassis design has proven its worth numerous times so far. TO800 is very easy to use and rather durable for what it is. Maybe it isn’t the perfect choice for frequent stage use, but home and studio use won’t even phase it. Staying true to that old Overdrive adage, Behringer has decided to build their TO800 in an old fashioned sense. You have only three controls available aside from the foot switch and the main input/output. Said controls are labeled Drive, Tone and Level. If you have ever worked with overdrives, chances are you will already know what each of these knobs do. In case you haven’t, Drive dictates how much overdrive is being infused into the signal chain, Tone allows you to EQ the sound to a certain extent while Level dictates the amount of effect that is pushed through to your amp. When it comes to sound, TO800 is rather surprising. It may not be as good as some boutique overdrives out there, but it is much better than we have expected. There’s plenty of girth in its tone to work with, even if you want to layer it on top of your dirty channel. This little thing has plenty of gain to offer. At the end of the day, Behringer TO800 and other pedals like it are there to give beginners a taste of decent guitar effects. As an overdrive, it covers the basics quite well and offers some range. We can’t really ask for more than that, especially at this price. Loop stations are becoming more and more popular, especially among the alternative crowd. These days you can use one such pedal to create masterpieces by mixing nothing more than your voice and an acoustic guitar. However, that new found popularity ruffled some feathers in the industry. Most loop stations are these large, often times confusing devices which weren’t really appealing to casual users. Boss is one of the first brands to solve that issue with models such as RC-1 Loop Station. On the outside this pedal looks just like any other Boss stompbox. After all, it has become common knowledge that Boss pedals all share one identical or very similar chassis design. Same goes for RC-1. You have a rock solid chassis made of quality metals which is designed to take all of the wear you are capable of inflicting. Needless to say, we have plenty of proof that Boss pedals live up to their fame in regards to durability. RC-1 is different than most other Boss pedals due to its controls. They are unorthodox to say the least. More on that in the features segment of the review. One cool thing about this pedal is that it comes with two sets of inputs and outputs, which means that you can run it in stereo mode should you need or want to. Overall, the design and execution definitely inspire confidence. Boss RC-1’s features are what makes it so appealing to casual users and pros alike. There are only two controls on the entire pedal and that is all you really need. Boss has also implemented an all new loop indicator which makes it incredibly easy to know how much time you have left in your loop. Speaking of which, RC-1 offers up to 12 minutes of recording. The knob located next to the loop time indicator is your standard Level knob. To activate the recording all you need to do is press the foot switch. Pressing it twice will stop the recording, while pressing and holding the foot switch resets the pedal.That is about as easy as it gets. 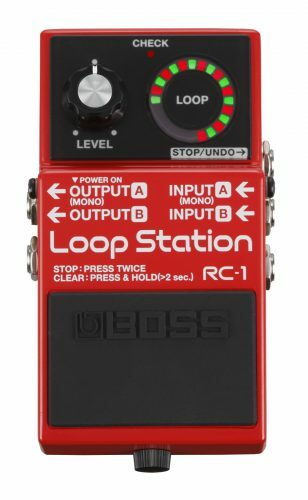 Boss RC-1 is a very simple, very intuitive loop station which brings this effect much closer to the masses. As such, it is alright in our book. Last but not least we have another effects processor to show you. This time around it is a DigiTech RP55. Much like Zoom, DigiTech has been on the very edge of effects processor design back in the day. As a matter of fact, these two brands have retained a steady level of interest in this technology which is why we are seeing models like the one we’re talking about today. It doesn’t take much to realize that DigiTech went for an affordable build. That much is apparent as soon as you first see this processor. The chassis is very ’90s in appearance and is made of plastics. However, build quality is good enough that all those ‘flaws’ we have just mentioned are pretty much negated. 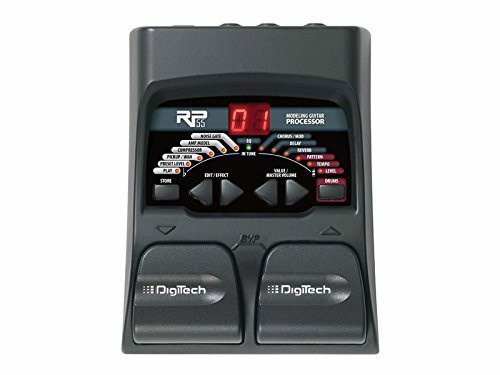 Aside from being affordable, DigiTech RP55 is also very compact. It features two foot switches tucked under a small control interface. Speaking of controls, you are looking at a very simple setup that is very easy to use. DigiTech has printed a rather intuitive diagram of different effects, which are lit up by built-in LEDs once you select them. Pretty straight forward deal. Despite its simple design, RP55 packs a decent punch for its size. You are looking at 11 amps, 20 different guitar effects, 5 cabinets, and 30 different backing tracks. That is quite a package for something that is so cheap. In terms of sound quality, DigiTech did a very decent job at eliminating that clinical vibe. Both the amps and effects sound organic enough to fool even the more experienced guitar players. DigiTech RP55 fills a very specific niche and it does that quite successfully. Processors such as this one are very popular among beginners for obvious reasons. If you are just starting out, RP55 can be an awesome tool to have at your disposal. So as you might have already noticed, it goes to show without saying that there is far more than meets the eye as far as the domain of guitar effects is considered. As a matter of fact, if you’re looking to become a guitar expert, you simply must conquer the use of a vast array of guitar pedals and effects. Whether it’s the wah wah, the distortion, reverb or delay, the little nuances are what makes the difference between cheap sounding tunes and global hit numbers. Just like guitars requires fine-tuning in terms of your left and right-hand finger action, pedals and guitar effects require a precise setting of their knobs, so studying the given products comes as a must for every musician. 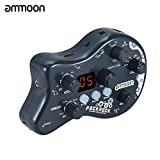 If we were to recommend a specific guitar effect to get you started, we would likely point at some of the devices mentioned above. 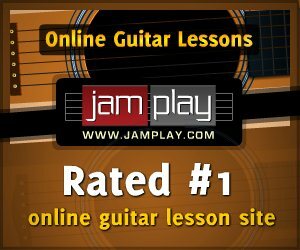 Make sure to check out some of the guides and reviews we have on offer prior to making the purchase though, as hasty moves tend to have bad results in the guitar products domain. Take it slow, be patient and rock on!